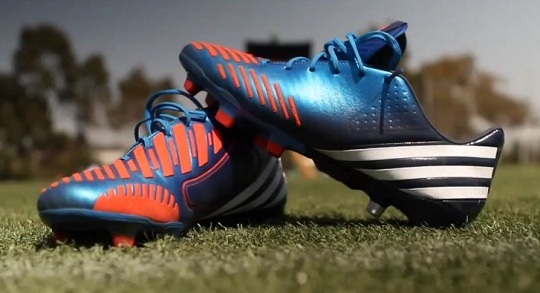 Last weekend, we hit up the Adidas Predator LZ event that took place at the Home Depot Center in Carson, CA. You might have read some details about it during the week on our Facebook or Twitter page, but I know that actually seeing some footage of the event is really what you want! We caught up with Tor Southard for a Q&A session and then took on 5 different challenges that were set up specifically for the boots. Check out the video below to get a good look at just what went down, and make sure to subscribe to KickTV for more videos. Hoping to one day attend an event myself, looks like you had a blast! What a shame. Copy from Mizuno Wave Ignitus. With syntetic leather. C mon adidas u can do it better.